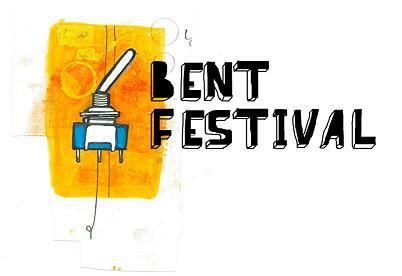 Bent Fest 2008 kicks of in Los Angeles tonight and will run from Thursday April 17th to Saturday April 19th. I got a sneaking feeling that this year will be a sensory overload like no other. Pete from CasperElectronics will be present at the LA and NYC events raffling off his newly modded Speak and Spell units! What a wonderful idea. Unfortunately I will not be a the LA event, however look for GetLoFi gear in form of Waldeck Interrupters officially blessed by Patrick McCarthy of Roth Mobot and New Talking Computron /Potar Split CDs at the NYC and MN events, possibly LA if Potar brings them. Help support the Arts by purchasing some awesome swag at all the events! In this workshop we’ll examine the topology of pre-transistor technology and how it informs modern DIY. The increasing miniaturization and diminishing cost of electronic parts has made circuit hacking and building more accessible and affordable to most. However, are 1 cent parts and integrated circuits causing us to lose touch with the art of homemade coils, wooden breadboards and sheet metal and glass capacitors? If imprecise and unreliable components brewed up from mu metal and copper wire truly impeded electronic progress in the 20s and 30s, how can one explain the emergence of the Theremin, The Ondes Martinot, The Trautonium and arguably the greatest of radio receivers? Why are these instruments, simple in their initial concept, so hard to reproduce faithfully today? We’ll begin by looking at tube circuits and the use of commonly available vacuum tubes. How the hell does one get started with tubes? Why can’t I fit them in a breadboard? Am I going to kill myself making a 300V instrument? We’ll cover all of this. We’ll take a look at the original patents and figures of Theremin, Martenot and Trautwein. We’ll also examine the socialogical spirit of invention in Post-War Europe and Depression America which led almost everyone with a screwdriver to take up hacking (Grinding meat with a modified car, turning a vacuum into a lawnmower, etc…) Finally, we’ll rethink the issue of control by rolling our own components to “feel” rather than specification. We’ll examine homemade coils, inductors, transformers, capacitors and resistors. Workshop participants will work collaboratively, modding and hacking on the aforementioned circuits. However, the amount of time required to construct these circuits is prohibitive of building tube instruments from scratch. However, tube based kits and instructions can be made available for sale, to be completed after the workshop.